The QM150-AIA is a storage heater guard developed by AIANO in cooperation with GDC Group, manufacturers of the Dimplex and Creda Quantum storage heater, and is just one of the wire mesh radiator guards available from MS Guardio. 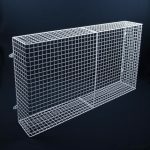 With such a wide choice of wire mesh radiator guards, you can rely on MS Guardio to supply the right wire guard to suit your needs. 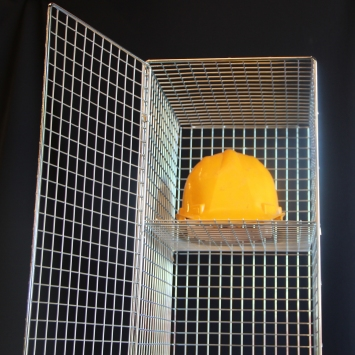 MS Guardio wire mesh radiator guards are manufactured in the UK by AIANO, a specialist manufacturer of wire guards for health & safety. MS Guardio heater guards are available for all the leading brands and types of heater. You can find wire mesh radiator guards for storage heaters, combination heaters, panel heaters, convector heaters, quartz heaters, electric radiators and many more. 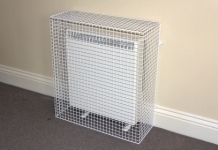 Storage heater guards – our full range of floor-standing wire mesh radiator guards includes guards for storage heaters, combination storage heaters and quantum electric storage heaters. 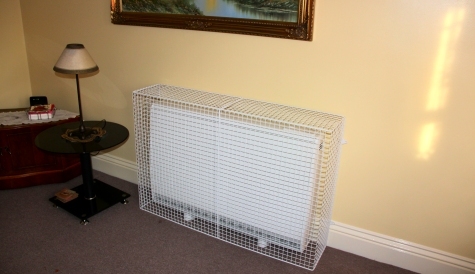 Panel heater guards – our full range of wall-mounted wire mesh radiator guards includes guards for panel heaters and convector heaters, fan heaters, electric radiators and more. Quartz and ceramic heater guards – MS Guardio supplies AIANO quartz heater guards and ceramic heater guards that were designed in cooperation with Dimplex and tested by Dimplex. 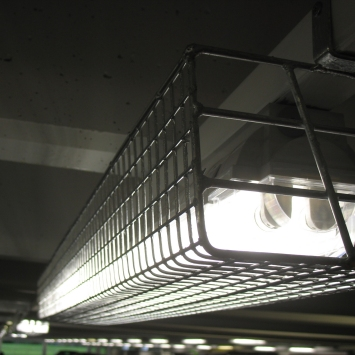 Bespoke radiator guards – MS Guardio can supply customized wire guards for all kinds of radiators including those with pipes and switches, with obstructions and in awkward spaces. 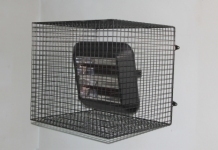 The wire mesh cages on our website are suitable for a number of different heater brands including Dimplex, Creda, Consort Claudgen, Sunhouse, Heatstore and Newlec. Our experts are always checking and expanding the range of heater guards available, but if you can’t find what you are looking for please contact us for advice or for a quote for a bespoke guard. 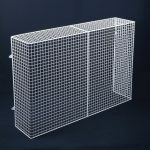 Why Wire Mesh Radiator guards? Why MS Guardio? 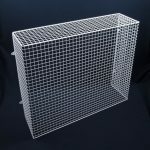 Msguardio.com is the leading online retailer of AIANO radiator guards and wire mesh cages. 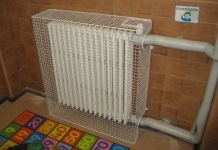 Storage heater guards, panel heater guards and so on are often required in environments where there are young children or the elderly or vulnerable present. The guard prevents anything coming into contact with the hot surface of the heater and causing injury or creating a fire hazard. MS Guardio holds stock of a wide range of AIANO guards and grilles and if you can’t find what you need on our website, or need a more customised guard solution, we can get it made for you as part of our bespoke guards service. With more than 150 years’ experience of making guards for health & safety in the UK, AIANO is the leading UK wire guard expert. AIANO wire guards are installed in homes, schools, nurseries, hospitals, day centres, sheltered accommodation, housing associations, retirement homes and many more, right across the UK. Attractive epoxy powder coated finish – other colours available on request. UK made from British and European steel. Clearance between a radiator and a guard varies from product to product depending on type of heater to ensure controlled surface temperature. 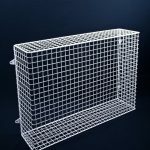 AIANO wire mesh radiator guards are recommended by Dimplex – the World’s largest electric heating appliances manufacturer.